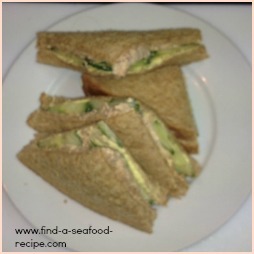 A tuna sandwich can fill the gap any time - lunch box, tea time, party time - any occasion. 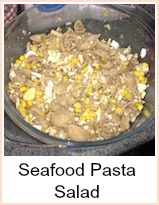 One tin of tuna will make sandwiches for four people - four rounds of two slices of bread. 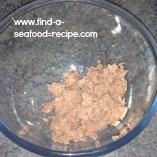 Empty one 7oz/200g can of tuna into a bowl to make four sandwiches. 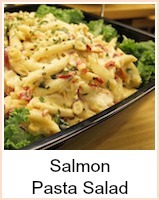 Add a tablespoon of mayonnaise. 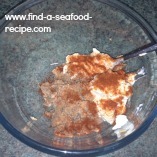 Add a few twists of pepper and a shake of paprika if you like. 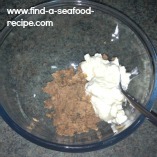 Stir the tuna mixture well with a fork. 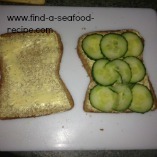 Butter your bread and put a layer of finely sliced cucumber on the bottom slice. 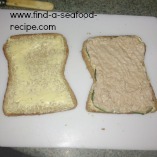 Top with the tuna mixture and put the second slice on top to make a sandwich. Cut the sandwich into four - I like triangles, some people like squares - it's a matter of choice. 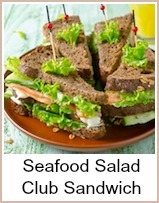 You can see the lovely juicy tuna oozing out of the sandwich here! 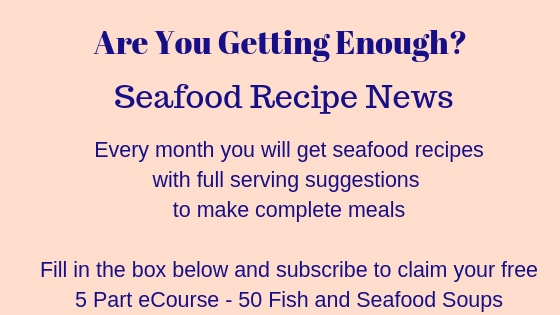 Make sure that you have some paper towel nearby so that people can mop their hands - seafood sandwiches are often messy because mayonnaise is used quite a lot to bind the fillings. 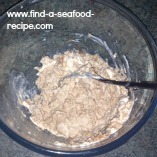 Super simple tuna sandwich recipe - great for a buffet, picnic or snack.